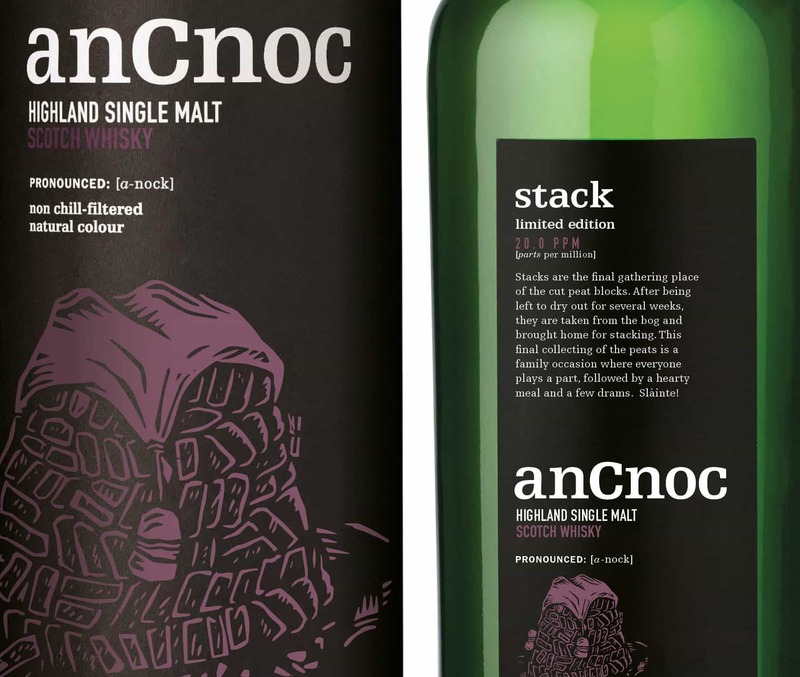 Generally speaking, I like anCnoc’s whiskies because of their charming subtleties. Knockdhu Distillery (home of the anCnoc brand, not the Knockando distillery) is rather good at knocking out gentle Highland whiskies that are classy, complex and – which is also rather nice these days – cheap. Cheapish, at least. The whisky feels nicely old-fashioned, despite the contemporary branding that still feels pretty fresh after a few years. So in all honesty, despite having enjoyed previous examples of their peated drams, I’d probably never buy another. I’d always go for their usual style, as that’s what I value about them. It’s a bit like GlenDronach Peated, from one of my favourite distilleries – good fun, but it’s not why I like them. On the nose: a very nice peat sweetness. That vanilla from the American oak has mingled perfectly. Lemon drizzle cake (loads of citrus). Brine. Quite mossy and vegetative once that peat settles. Beyond all that is a little huskiness and maltiness. A lovely lightness about the whole thing. In the mouth: the peat is more vegetative, birchy and earthy than sweet (though leave it longer and the vanilla influence gets there with time). Brine. Acidic: citrus is here, much sharper than the nose suggested too. Honey. Assam tea and then the herbal notes of green tea. A short, peppery finish. Not quite as nice as the nose, but I think this is absolutely the thing to warm the bones on a winter’s day, but not necessarily on a bitter winter’s evening. And I imagine this would go very well with complex, fatty fish dishes too. 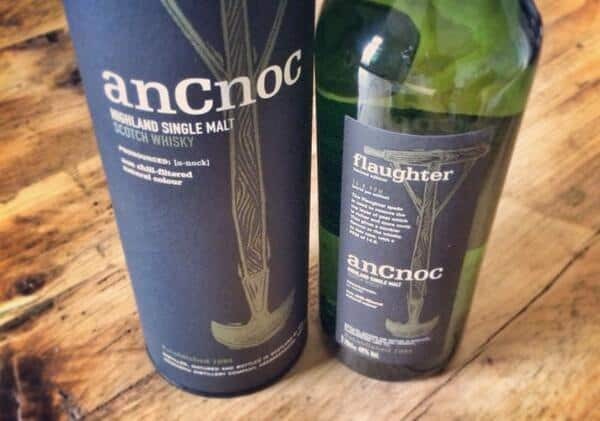 Well, anCnoc just keep making decent whisky. Unpeated or peated, it’s dependable stuff, well priced, and nothing about this changes my opinion. 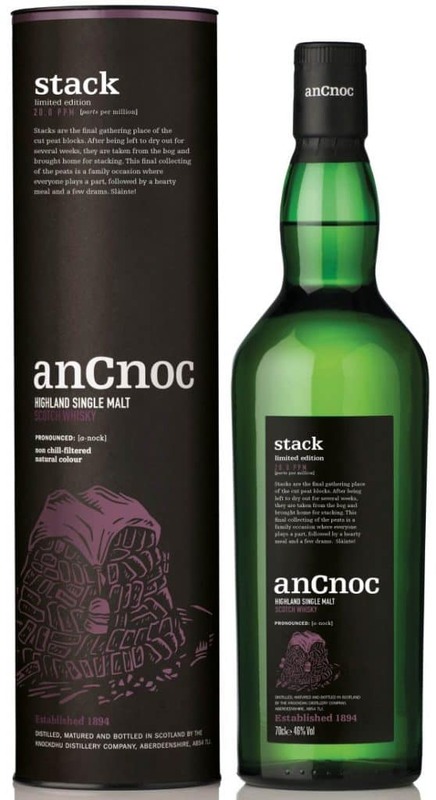 Don’t go into this expecting Ardbeg or Lagavulin – anCnoc Stack is a different style, something lighter, more delicate. It fits in with the gentle Highland manners in that sense, however I’d rather spend my money on the fabulous anCnoc 2001 Vintage. 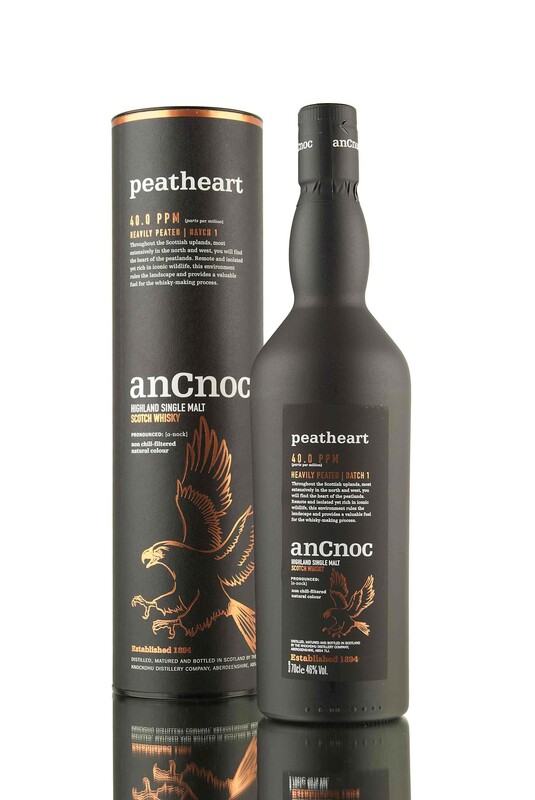 One might wonder if there’s a bit too much peated anCnoc drifting around these days, but these smokey theme obviously works well for them, as they keep on coming.